Immigration is the process by which people migrate to a new country like Canada to make a new life as a resident of the new country. Why should I consider Immigration and Studies in Canada? • Canada has one of the most positive and supportive immigration policies in the world. The Canadian Government admits thousands of immigrants each year and has created infrastructure systems and agencies to support and guide the new immigrants for a successful settlement. World’s best country to live in, according to the consistent ranking by the United Nations (UN) because of the high standard of living and best quality of life. Providing free primary and secondary education and subsidized post-secondary studies, Canada spends more education than any other industrialized nation. • Health facilities and services are highly subsidized and ranked as one of the best among the developed countries. • Natural resources: Canada has clean air and it is privileged to have one of the largest reservoirs of fresh water; something that even the richest country in the world can’t buy. • Strong Economy: A modern, growing, industrial nation, with plenty of opportunities and development for professional and personal growth, expanding job market, low unemployment rates… and it keeps getting better. • Safe, free and tolerant communities. Canada protects it´s peoples rights and freedoms. A fair justice system makes this country a secure place to live. Crime rates are very low and continue to decline. • Multiculturalism: .Canada encourages immigrants to keep their religion, language choice, and unique culture. It is also unique with a diversity of cultures existing together in a peaceful society. Canada, the nation, was built by immigrants. Canada is an inclusive society: People’s differences are celebrated. If you need advice about how and where to start your immigration process, whether you have specific questions about your situation or you want a review of the immigration streams that could apply to you, a service of a 55 minute or more consultation can be provided to assist you in exploring your options. If you only need the response to answer one or a few questions, you have the option to pay for each question. Pay for the number of questions you want answered . Send your question(s) Submission Form.. Escriba su pregunta en la celda de Mensaje/Pregunta que aparece en la solicitud de información. You will receive an answer within 48 regular business hours. Tiene la opción de beneficiarse con una consulta ANTES de preparar su aplicación por su cuenta y de revisarla DESPUES de que la haya preparado, junto con los documentos que apoyarán su aplicación, antes de enviarla a procesamiento. If you are intending to prepare your own immigration application, Explore IDEAS gives you the option to have a consultation session before preparing your immigration application on your own and to review your application after you have prepared it, along with supporting documents, before you send it for processing. 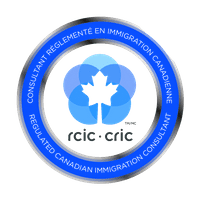 The review and the consultation session is conducted by a Regulated Canadian Immigration Consultant. Full Service Option: Professional assistance with initial consulting, personal profile review assessment, recommendations, guidance, completing the applications and gathering supporting documents, submission and follow up. Assessment and comprehensive planning of the immigration pathway that applies to you. IMMIGRATION to Canada through EDUCATION pathways. International students who have Canadian credentials and work experience may get valuable points within the Canadian immigration system and may be eligible to apply for permanent residency. Our services specialize in the “Canadian Experience Class” immigration stream where academic experience and work experience play a key role in the pathway towards permanent residency in Canada. 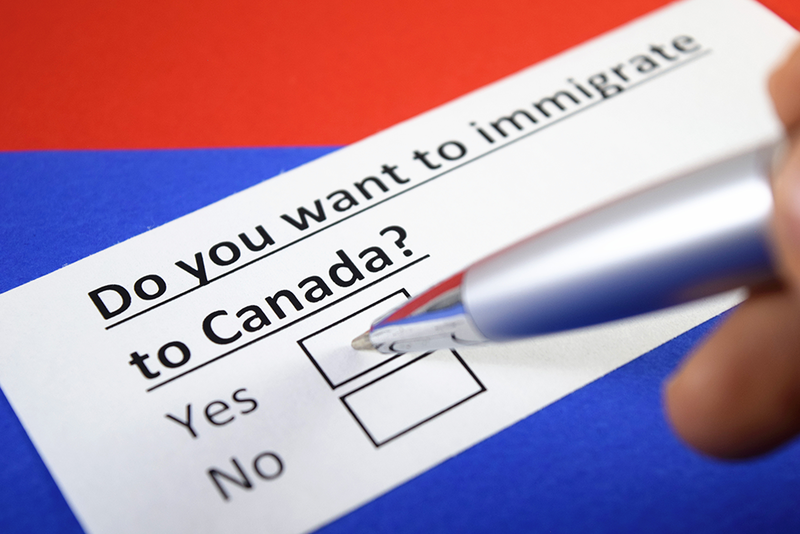 If your personal immigration profile at the time of assessment is not qualified for any suitable immigration stream, you will be informed of the evaluation and be presented with options (if any) to improve your chances (if any) to become a better qualified immigration candidate to increase your immigration eligibility. Clients are screened through various means, including evaluation of relevant information, assessment forms, questionnaires and in-person consultations. If your application is not eligible for any immigration streams, no time and money will be wasted making and submitting an immigration application that is likely to be unsuccessful. The probability of success also depends on the type of immigration application, the very unique profile of each applicant and many other factors in effect at the time of application. The final decision of approval or refusal of an immigration application always relies on the Canadian Government Immigration authorities. Exploration and settlement into your new home including preliminary visits, accommodation, purchase of a new home, school registration, integration into your new style of life.